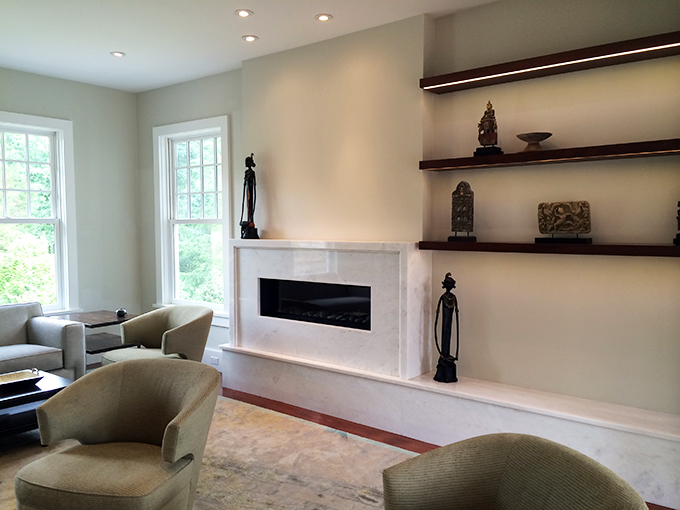 In the world of interior design and architecture, there is no shortage of tools to assist in the design process. In fact, as technology continues to evolve – so does our tool box. So how do we decide when to use certain tools and what design aides are worth investing in? For me, it usually comes down to the client and the design challenge. I have found that 1:1 scale models can’t be beat for such things as light fixtures, molding profiles, or furniture details. 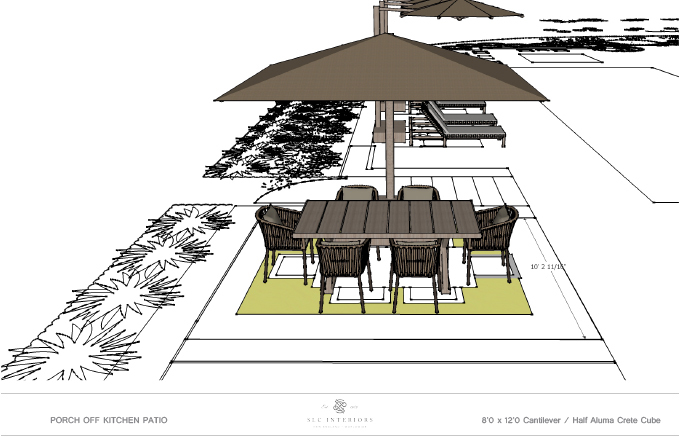 Being able to see the actual proportions, in real time, is an unsurpassed method for assessing any design solution. 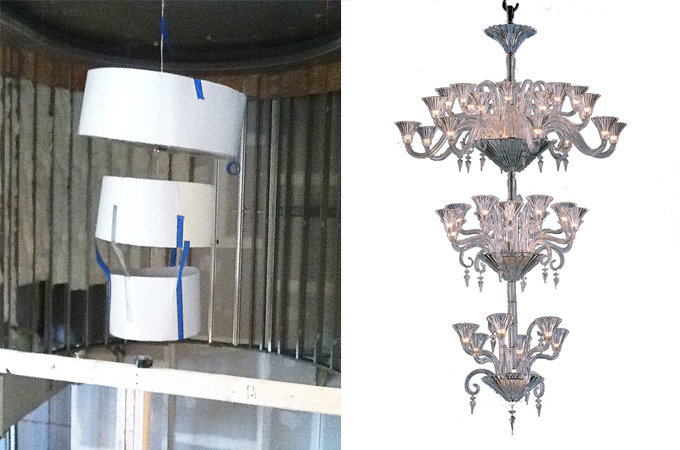 In the image below, you can see we created a model of a custom Baccarat Crystal Chandelier. By using a three-dimensional form, we were able to determine if the overall height and volume of the piece was appropriate for the space. 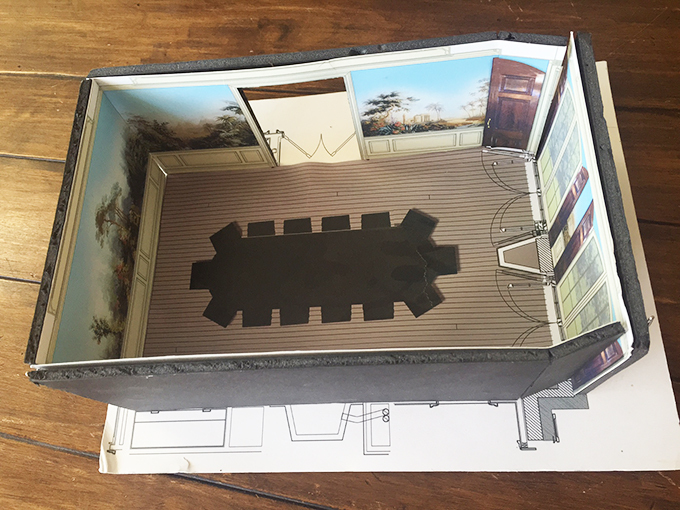 This particular exercise was crucial in gaining the client’s approval and understanding of the proposed fixture. 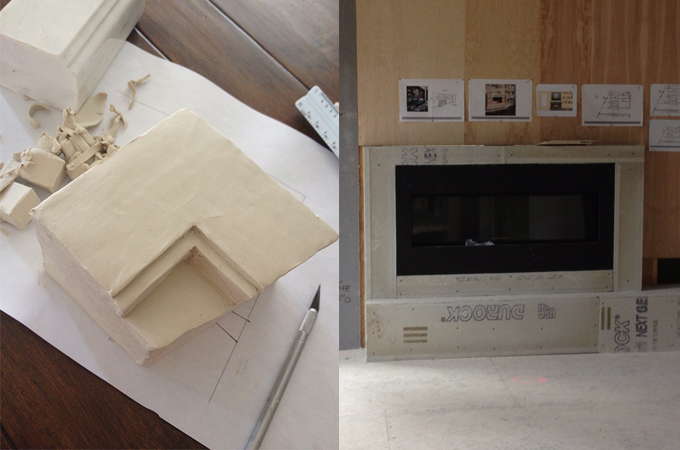 We also implored this method when exploring the details of a custom fireplace surround for a client’s home in Weston. We modeled a portion of the proposed profile out of clay for the client to fully understand the details. We were able to hold this up on site and see exactly how the scale felt in the space. But of course, once you reach a certain size, 1:1 models just aren’t practical. So then the question is, should you create a physical model at a smaller scale or turn to technology and create a virtual model? At this juncture, it again depends on what I am designing and what solution I am trying to convey. 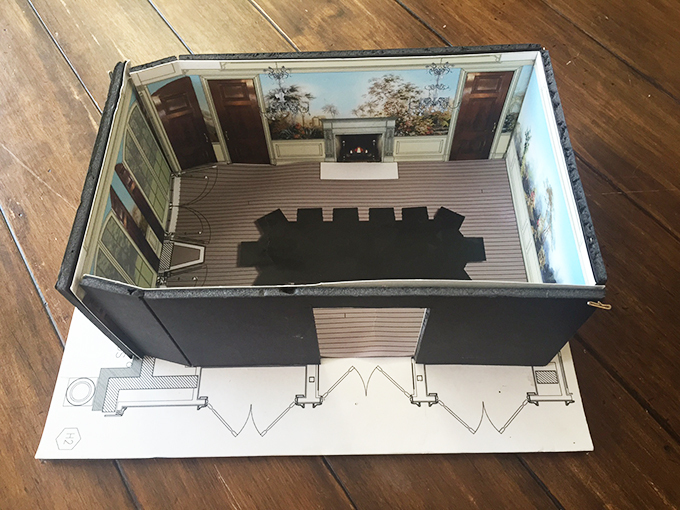 I recently created a three-dimensional model of a client’s dining rooms to illustrate the layout of a custom, scenic wallcovering. The simple act of showing this room as a model was an invaluable tool in illustrating the overall concept to the client. I felt that since it really was just one room and the purpose was mostly to show the layout of the wallcovering, a computer model would have made things too convoluted. The clients were able to hold the model in their hands and spin it around easily to view it from every direction. It’s sometimes nice to be reminded that the best solution is often the most simple and doesn’t always require the inclusion of robust software. With that said, of course we look now to computerized models. The beauty of a computerized model to me, is how malleable it is. Don’t like something, well with a click or two of your mouse, you can change it. The other giant pro of computer models is showing large swaths of space in one fell swoop. From virtual house tours, to exteriors, to whole cities; computer models have the power of creating life-like replicas of just about any physical space imaginable. 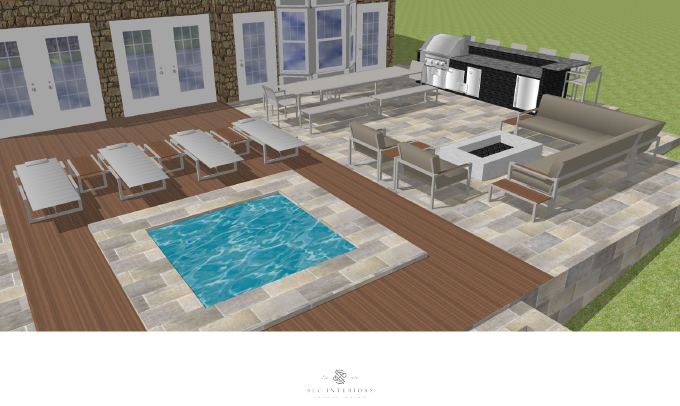 Below are a few examples of models we’ve implored to assist clients in visualizing the design details. 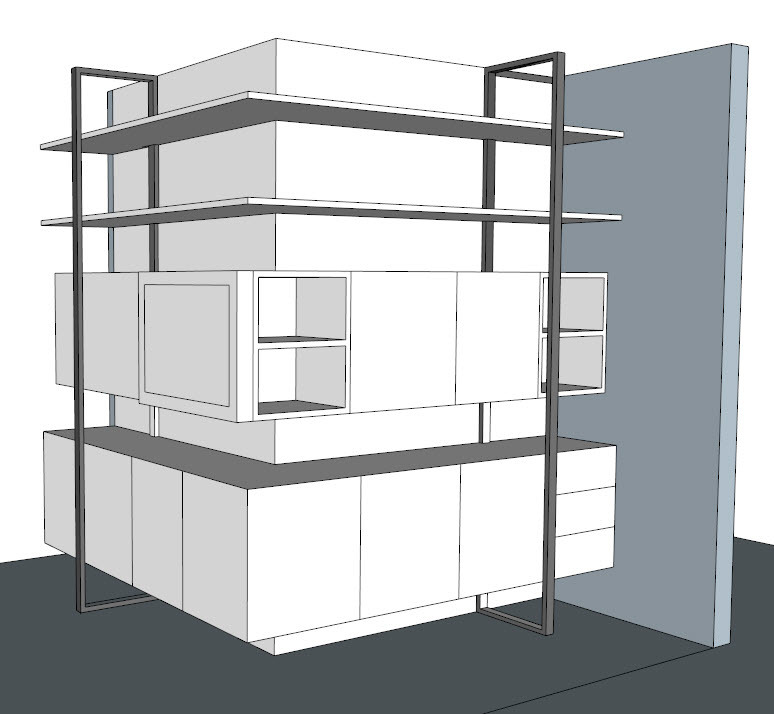 So one may ask the question, “Do you model every home or space you design?” The simple answer is, “No.” Models are mostly on a case by case basis and really depends on the client. Will the client see the value in a model? Will the model confuse them? Is the time it takes to build a model necessary to relay my design? Much as I customize schematics to suit a client’s taste, I also strive to tailor my presentation style as well. If there is any advice that I can lend to my fellow colleagues, it is to always have a well edited set of tools at the ready, learn them extremely well, but know their limits.